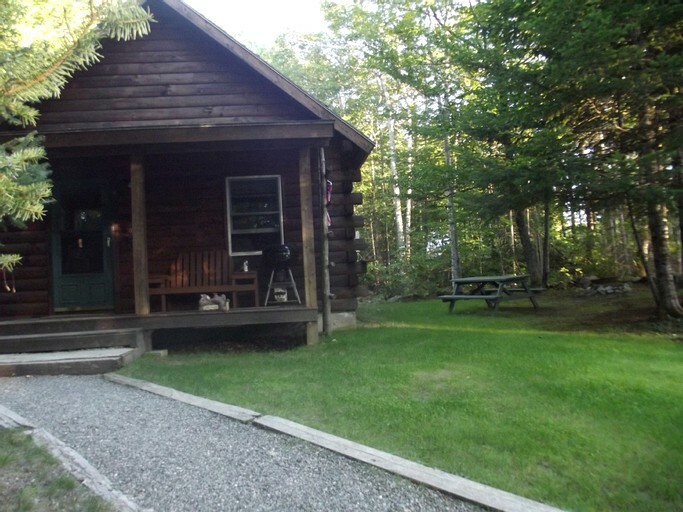 This pet-friendly adventure getaway near Lincoln, Maine, can sleep four guests and is perfect for those looking to hide away in nature's playground. 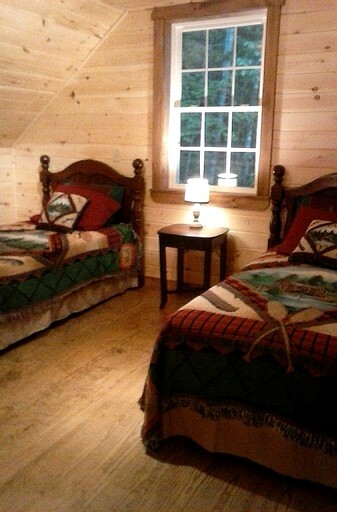 The cabin has one bedroom that features a queen-size bed as well as a loft space with two twin beds. There is additional room for children glampers, who may not wish to use the ladder stairs to the loft, in the living area on the queen pull out sofa. All glampers will be provided with linens and towels by the host to ensure guests are well-looked-after. 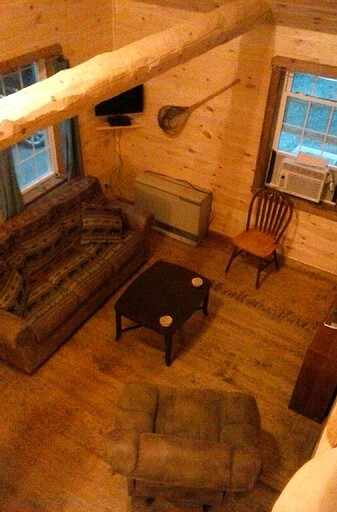 The pet-friendly cabin has adjustable heating and air conditioning, allowing guests to stay comfortable regardless of the season. 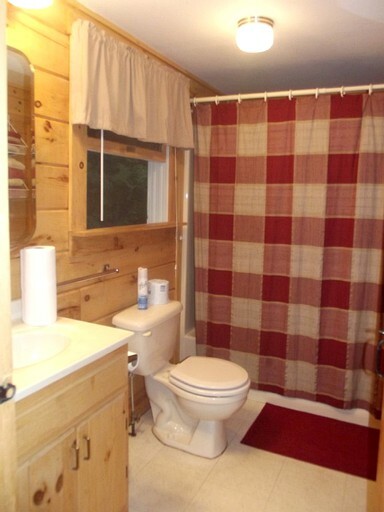 Glampers have access to a full bathroom, which contains the washer and dryer, as well as toilet paper and a hairdryer. Kayak and canoe rentals are available on the property. Due to the property's rural setting, there are many outdoor activity facilities located in close proximity to the accommodations, such as ski areas in the winter and lakes with water activities in the summer. Popular activities include watersports like kayaking, fishing, swimming, boating, and canoeing. During the winter months, ice fishing, skiing, and snowmobiling, are prominent activities that draw guests to the area. The Mt. Jefferson Ski resort is adjacent to the property, so guests can head back to their accommodation to relax after a long day on the mountain. 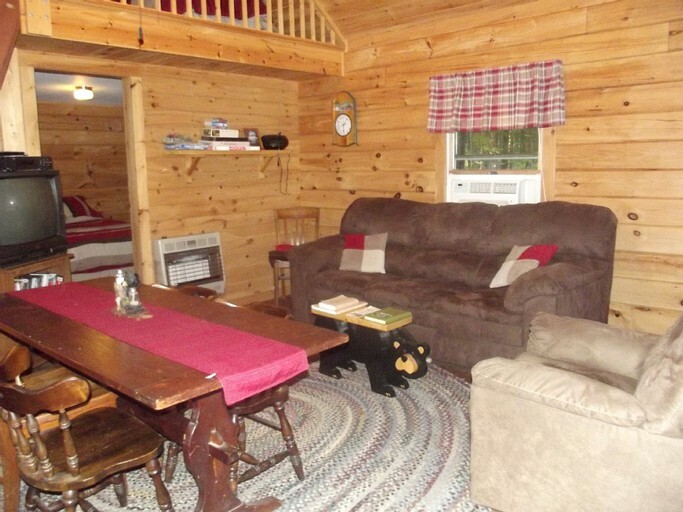 The property has direct access to ATV and snowmobile trails. Hunting is another popular activity, the property has access to zones 18,19, and 11. While staying in Lee, guests have many options of exploring what surrounding Maine has to offer. Baxter State Park, located an hour away, and sports miles of natural terrain such as mountains, lakes, woods, and streams. Hiking trails in the park lead all the way to the most northern section of the Appalachian trail. The property also lies in the Lincoln Lake region, where guests can access watersport activities. The closest town, Lincoln, just to the west, allows guests to do some grocery shopping for their duration of their stay. Many restaurants, gas stations, and a hospital are located in Lincoln.Lincoln also has many festivals and events year-round. For further excursions, Bangor, Maine, is located just one hour to the south and has shopping mall along with other sites and activities.